Weight: 1.44 oz. 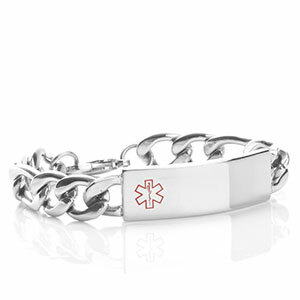 / 41 g.
This medical alert bracelet is classic and elegant. 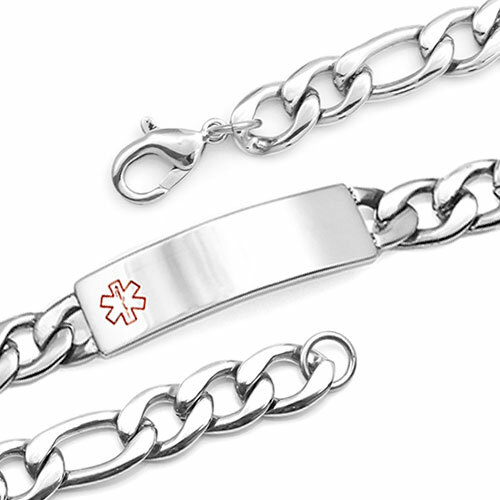 The front and back sides of this medical ID braceelt can be customized by engraving your medical safety information. The ID bracelet best fits wrists sized 7 - 7 1/2 inches. Figaro style links.